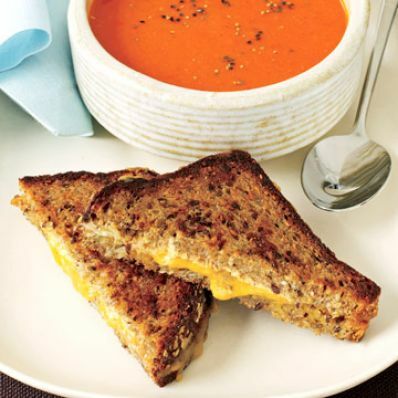 Take the canned tomato soup and grilled cheese sandwich lunch to another level when you make the soup yourself and add sweet pepper and herbs. To perk up the sandwich, a mustard and cream cheese spread melts with the cheddar. 1 of 2 Heat olive oil in a large nonstick pot over medium heat. Add onion, sweet red pepper and garlic. Cook for 5 minutes until softened. Add tomatoes, broth, tomato paste, sugar, basil, oregano and pepper. Break up tomatoes with a spoon. Bring to a boil; reduce heat to medium-low and simmer, covered, for 30 minutes. 2 of 2 Working in batches, puree tomato mixture in a blender until smooth. Return to pot and simmer 5 minutes. 1 of 2 In a small bowl, stir together cream cheese and mustard. Spread evenly on 4 slices of bread. Sprinkle each evenly with cheddar cheese and top with remaining bread. Lightly coat outside of bread with cooking spray. 2 of 2 Heat a large nonstick skillet over medium heat. Place 2 sandwiches in skillet and cook 3 minutes on each side. Repeat with remaining sandwiches. 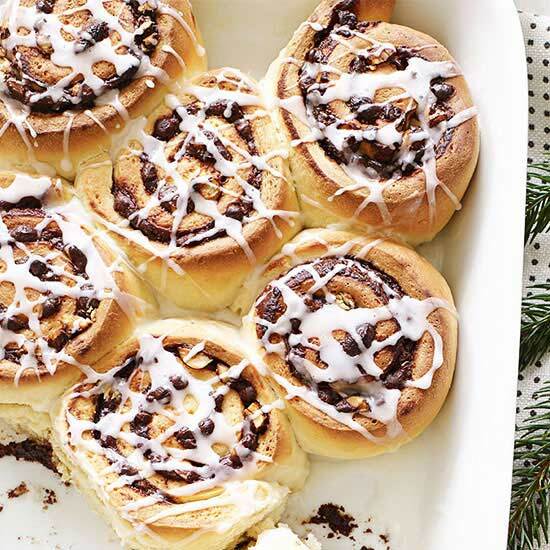 Serve immediately with soup. Per Serving: 9 g fiber, 6 g sat. fat, 822 mg sodium, 362 kcal cal., 25 mg chol., 11 g Fat, total, 49 g carb., 26 g pro.